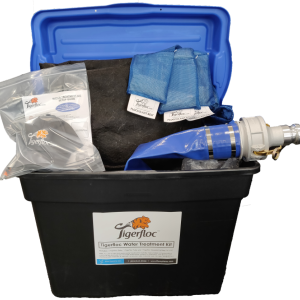 Active Tigerfloc System | Floc Systems Inc.
Floc Systems Inc. Mini Water Treatment Unit is the perfect choice for treating all types of waste water where space is limited and mobility is key. 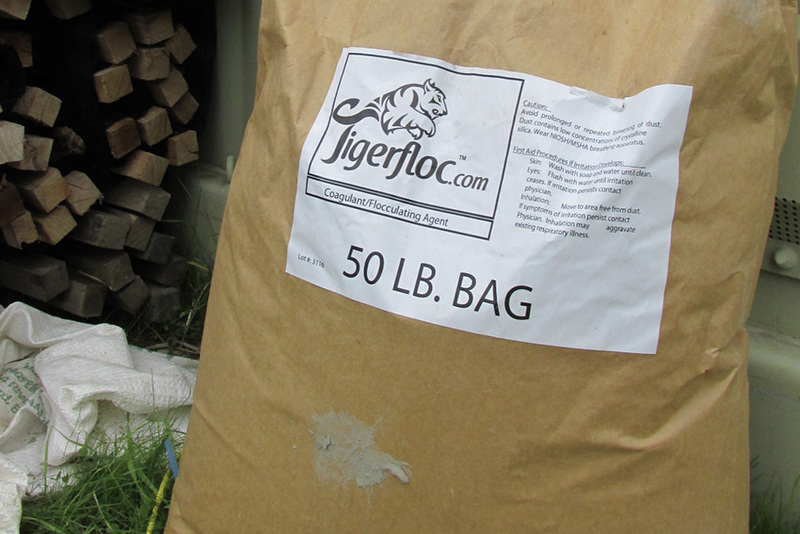 The combination of the Mini Water Treatment Unit with the introduction of the granular Tigerfloc using an auger feeder results in clear discharge water almost immediately. 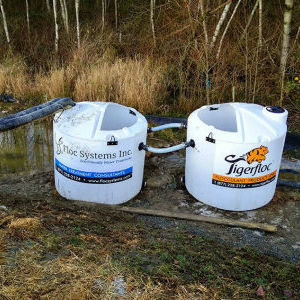 Floc Systems Inc.'s Mini Water Treatment System is a flow-through system, with the waste water flowing through the unit quickly and is then allowed to settle in a sediment pond, a mobile sediment pond, or filtered through a dewatering bag. 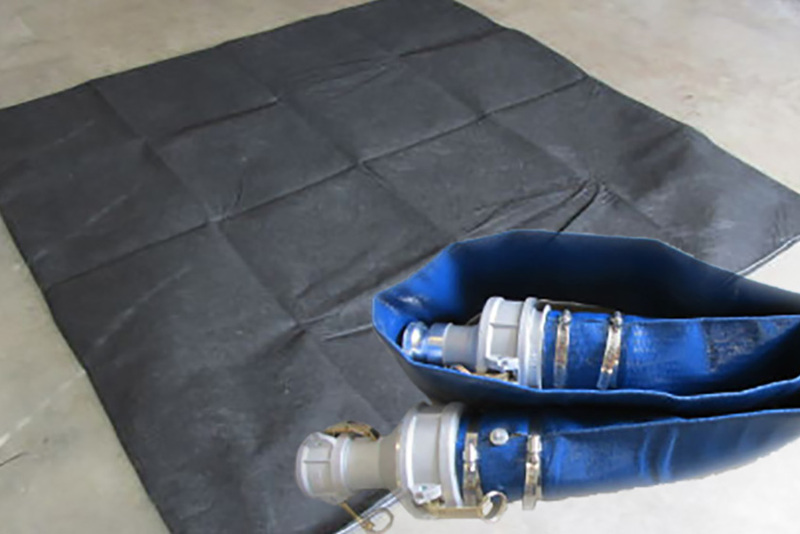 The Mini Water Treatment System runs on regular single-phase 110V, and is adaptable to receive a 2" or 3" pump hose. The Mini Water Treatment System treats all turbidity, heavy metals, as well as hydrocarbons such as oil and gas at a rate of up to 200 GPM. 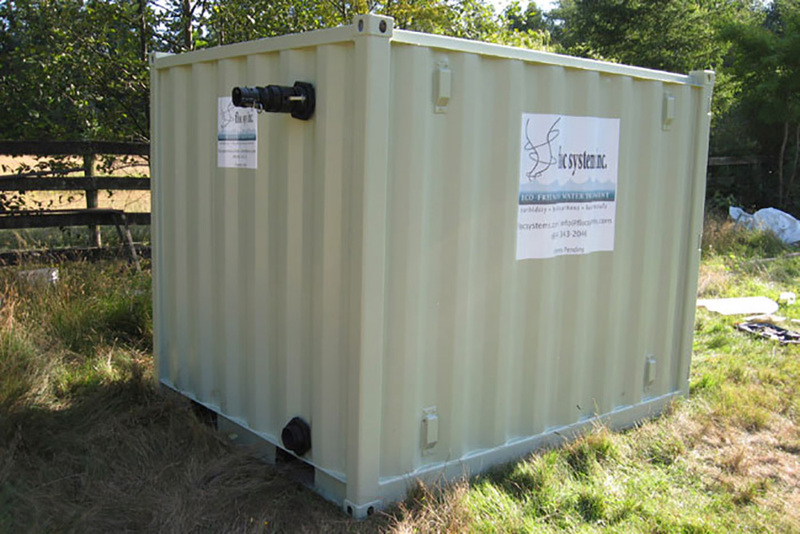 Weighing in at just under 2000 lbs., the Mini Water Treatment System can be transported very easily, being housed inside of an 8' shipping container (8'L x 6'W x 6'H). 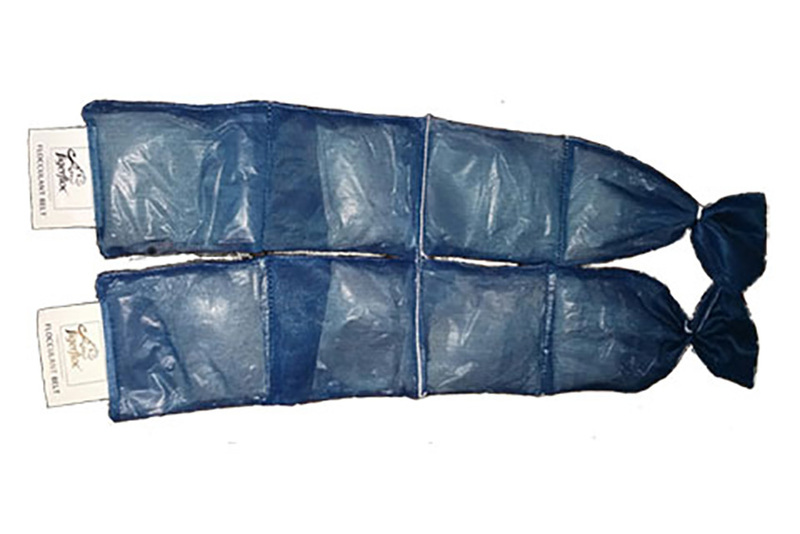 The Mini Water Treatment System can be picked up with a forklift and placed where required, or moved from site to site to be used where needed. 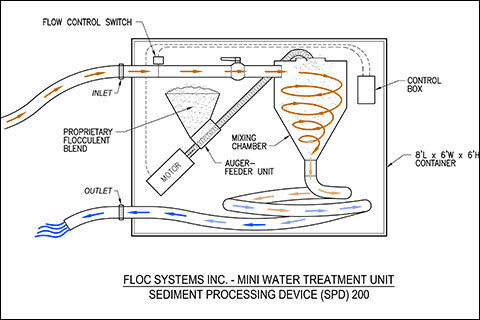 Floc Systems Inc. is happy to answer all of your questions concerning the uses of the Mini Water Treatment System, and how this unit will benefit your business. The Mini Water Treatment System is available for purchase or lease across the United States and Canada. The SPD 200 and Mobile Sediment Pond Detail here in PDF - to be inserted on all ESC Drawings where this dewatering system is specified. 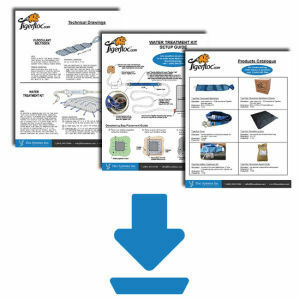 You can download our flyer for the SPD 200 for more information.